Pudsey Leisure Centre, where Pudsey Table Tennis Club runs its main training sessions, is making Table Tennis openly available to all. The sessions are open to the public on Sunday mornings between 11am and 12pm. There is a small charge for the session of just £3.00, payable at the door. Pudsey Table Tennis Club, based in Pudsey, Yorkshire, is a Table Tennis England registered Advanced Premier Club. This means that we have attained set standards in areas of club development, competition, management duty, facilities and other club activities. We pride ourselves on having a strong coaching structure with Table Tennis England qualified coaches from level 1 to senior level. Our coaches are responsible for many of the coaching sessions run in Leeds schools and our development of players can be seen in the number of players who have gone on to achieve county honours and England representative honours. We are in the process of achieving Clubmark status - a Sport England Cross-Sport scheme that recognises safe, effective child-friendly sports clubs. 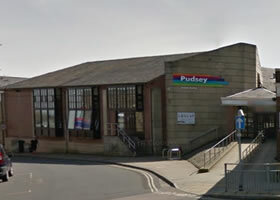 In 2020 Pudsey TTC is turning 50! The club has an open membership policy and has members ranging in age from 8 to 70, with males and females from all sections of the community. As a club we like to socialise and have many stories of past functions - playing at a club headquarters with a bar is an added advantage! The club is affiliated to the Leeds League and also competes in events run by the Yorkshire Table Tennis Association and Table Tennis England. For this league season, 2018/19, the Leeds League has kept the divisional structure of 7 divisions of 8 teams playing each other 3 times that was established last year. Promotion and relegation from last year has deemed the position where our 10 teams will compete. Pudsey TTC prides itself on giving Juniors a chance and because of our coaching structure many of our teams consist of both seniors and juniors. In the Bradford League we have stayed at three teams who will compete in divisions 1, 2 and 3. Two teams of cadets (under 15) will be competing in the National Cadet League at a new venue in Sheffield. In the Senior British League we have one team this year which will be competing in National Division C3 of the Table Tennis England Senior British League. Three of our ladies will be competing under the banner of Leeds Ladies in the Senior Women's British League, while three of our men will be competing as a Pudsey team in the National Veterans' League. If you are interested in training and playing competitively, or receiving coaching, please contact Secretary Peter Thompson who will be happy to help. 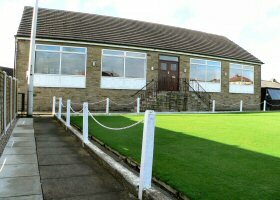 Pudsey Bowling Club is the club's base and provides excellent facilities for competitions where two concurrent matches can be played. It is also used for some training sessions. The majority of club training sessions take place in the Pudsey Leisure Centre where up to 12 tables can be used for formal training and one-to-one coaching. Junior and Senior competitions are also held here on occasion. Club President Granville Thornton founded the club as Bramley Ebenezer Table Tennis Club in 1970. 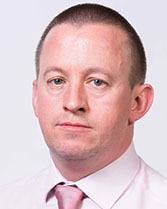 Granville was elected as our first President at the AGM in July 2002. The club was formed to provide alternative recreational facilities for children, both from the church in which the club was based, and the local community. The club entered 2 teams, into the local youth league in 1970 and officially entered the Leeds League in 1973, and the Bradford League in 1984. With the Closure of the church in 2004 the club found a new home at Pudsey Bowling Club. As a result of the success of this move the club was renamed Pudsey Table Tennis Club at the AGM in July 2005. See the committee page for full details of other club posts.